Mr. Lee is the Founder and Managing Director of DHL Ventures LLC, a financial and strategic advisory firm based in Boston, Massachusetts. DHL Ventures and Mr. Lee have been providing consulting services to Athyrium Opportunities Advisers since 2012. 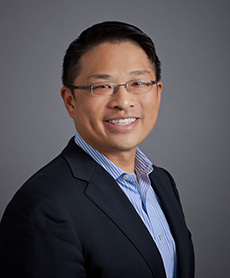 Mr. Lee has more than 20 years of experience in life sciences investments across therapeutics, devices, diagnostics and Services / HCIT as an investment banker, venture capitalist, entrepreneur and hedge fund analyst. Mr. Lee specializes in structuring and implementing creative and complex deal structures and working closely with management teams on financing and exit strategies. Prior to founding DHL Ventures, Mr. Lee was a Senior Analyst with Burrage Capital, a life sciences focused long-short equity fund. Previously, Mr. Lee was the Chief Financial and Corporate Development Officer at Talaris Advisors, a biotech accelerator that leverages a strategic drug development discipline to minimize risk and cost while optimizing the odds of success in drug development portfolios. Before founding Talaris Advisors, Mr. Lee was a Principal with SV Life Sciences (SVLS), a leading healthcare focused venture capital advisor with approximately $2B under management. For close to a decade at SVLS, Mr. Lee was actively involved with more than 55 portfolio companies across biotechnology, medical devices and healthcare services investments. He worked closely with management teams across a range of issues including equity and debt financings, M&A, IPOs, partnerships and exits. As an investment banker, Mr. Lee was with the Global Healthcare Group at UBS Warburg where he engaged in a variety of equity and M&A transactions in the life sciences sector. Prior to joining UBS Warburg, Mr. Lee was in the Healthcare Investment Banking Group at Salomon Smith Barney. Mr. Lee received his BS in Finance from Bentley College.